Here we go! The amazing cell and DNA size and scale app! website. What is DNA? How is it related to heredity? 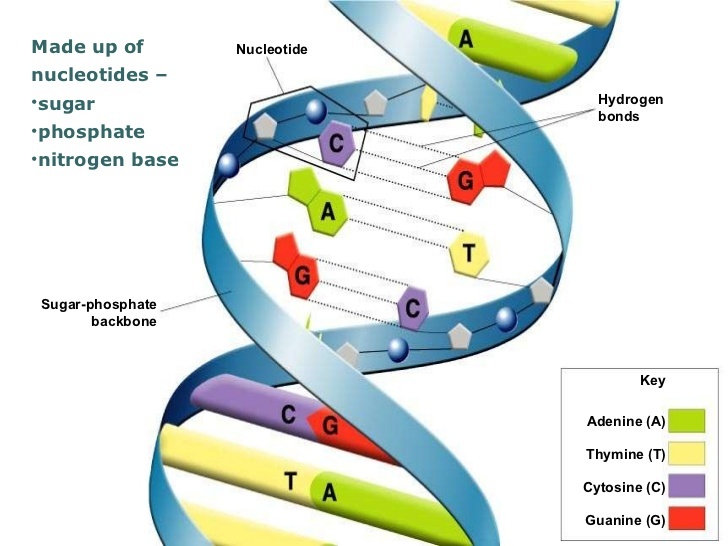 DNA, or deoxyribonucleic acid, is a very long chemical that stores information on how to build cells, and all the instructions necessary to build an entire living organism. Let’s start building DNA, from the ground up. 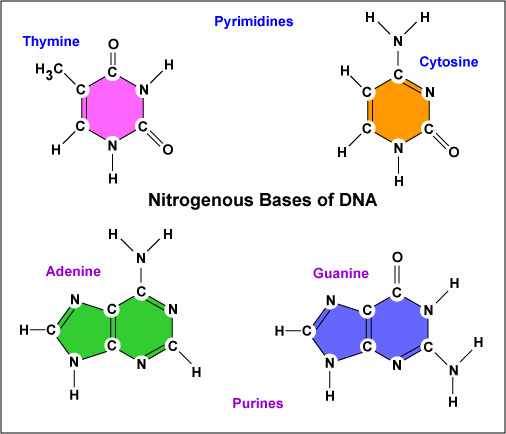 DNA starts with small pieces (bases), then builds into larger pieces (nucleotides), then much longer pieces (genes) and finally into huge assemblies called chromosomes. 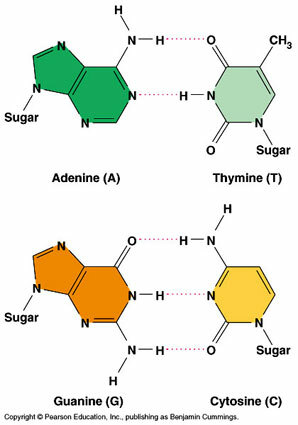 The base connects with a sugar, and a phosphate to make a nucleotide. 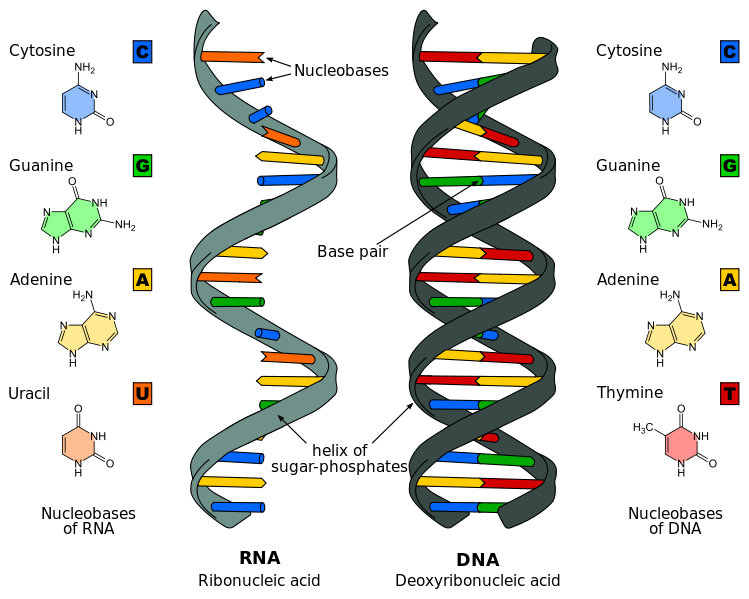 Many nucleotides come together to build a double-helix. 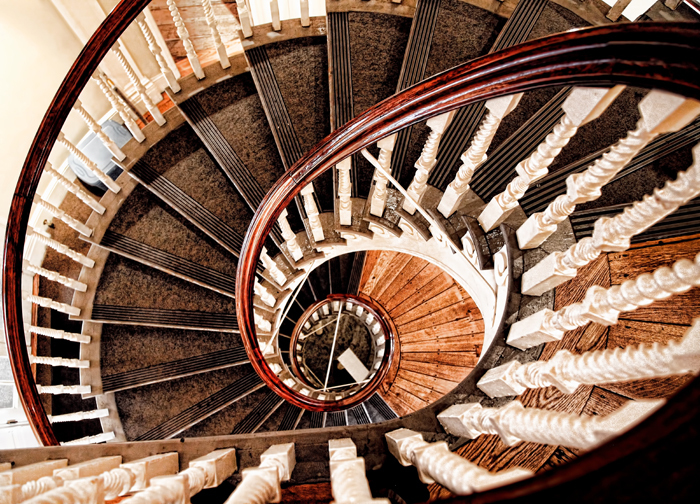 But first, what is a single helix? 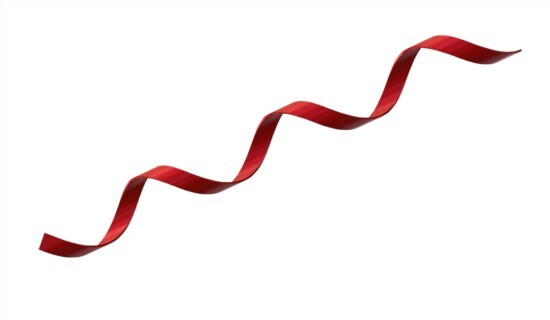 There are other chemicals that have to do with genetics: Not just DNA, but also RNA. We’ll get into RNA later. * Describe DNA’s function in genetic inheritance. * What is the purpose of doubling up (complimentary) the base pairs? 8.MS-PS1-1. Develop a model to describe that (a) atoms combine in a multitude of ways to produce pure substances which make up all of the living and nonliving things that we encounter. 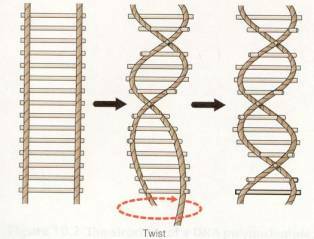 LSM-PE.5.2.2 Construct a representation of DNA replication, showing how the helical DNA molecule unzips and how nucleotide bases pair with the DNA template to form a duplicate of the DNA molecule.